I think a lot of the appeal of creative media as escapism is the ability for a creator to build a character around an idea or flaw. Someone who spends their free time sleeping, or has a complex about their foot size, or who doesn’t quite know who they are; these are ideas expressed by creators, which in some cases are simply drawn from tropes which exist at the time, but may very well reflect issues the creator is going through at the time of that character or story’s conception. Characters in a fictional story can be flawless in the worst ways and flawed in the best ways, and this not only makes them potentially relatable, but also allows the story they tell to flow freely without constantly reminding the viewer or reader of all of the unfortunate realities of modern life. Give us the good, without too much of the bad. This also allows for a story to present multiple layers of complexity, as it can be consumed at a base level, where characters and narrative developments are taken at face value, but many stories also offer an insightful peek into the head of the one who dreamt it. Ideas always come from somewhere, whether their origins are clear or not, and it’s important to keep in mind that while a narrative may be fictional, the ideas it might express come from a very tangible place. Konno Makoto doesn’t quite have it together. Lacking in diligence, and aloof with study, she lives her life in the moment and does well to get by on the shoulders of her own peerless enthusiasm. One morning, she wakes up late, as she does, has a bad day, as she does, and manages to find herself in midair, an instant away from being pummeled to death by an oncoming train. To her surprise however, she finds herself transported to moments before the impact would have taken place. Unsure and confused as to how she came to possess such an ability, Makoto quickly takes to time travel, using it to cater to her own adolescent whims. 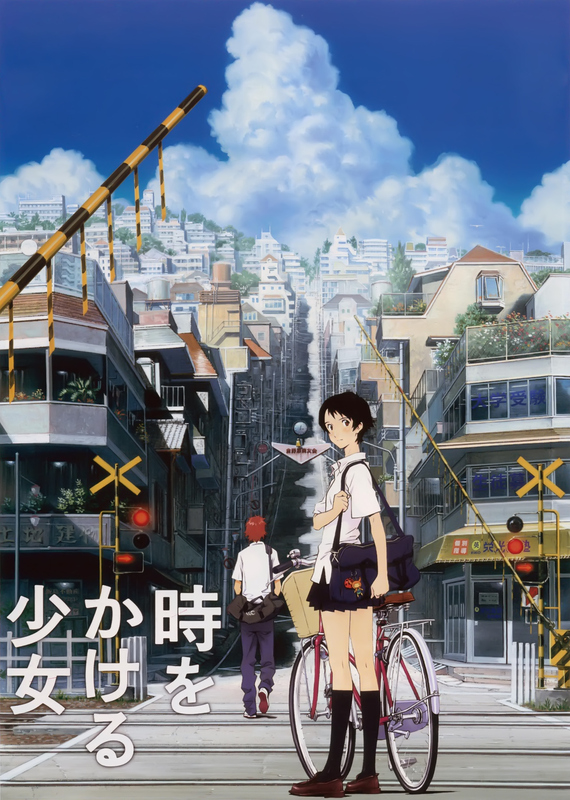 This is the perfect anime film for a Summer evening. I think my primary takeaway from watching this movie was the tone. It has such a bright, welcoming presentation that draws you in, and Makoto is an equally bright protagonist who is both humbling and humorous. Her story is what propels the film forward, but she is the star of the show for sure. 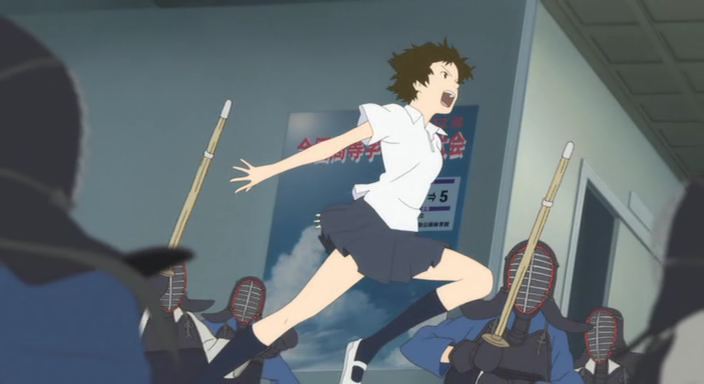 Time travel can become pretty contrived pretty quick depending on how it is explained in the narrative, and admittedly, the scene which explains Makoto’s ability to backpedal through time is probably the one low point in the film just due to how all-at-once it all seems, but this is a slight tarnish on an otherwise superb story. As mentioned before, Makoto’s time traveling antics can be quite funny, mostly due to the process she uses to do said time travel, but it’s also interesting to watch her return to the same moment again and again to try and get it just right. A time traveling protagonist repeating the same moment to get the outcome they desire is nothing new when it comes to stories such as this, but that isn’t to say it’s any less enjoyable to watch play out here, especially when that protagonist is such a down-to-earth and lovable character as Makoto is. The production is great, with tremendous background artwork and fluid animation, though I will say that since many shots capture the characters at a distance, some detail is sadly lost (notably in the characters’ faces). There are also a few rather off characters here or there which stick out and distract a bit from the scenes in which they’re featured. But if we’re talking about what Toki wo Kakeru Shoujo gets right, the tone is nothing but enjoyable, the characters are the sort you’d love to hang out with, and the narrative bears an admirable message. 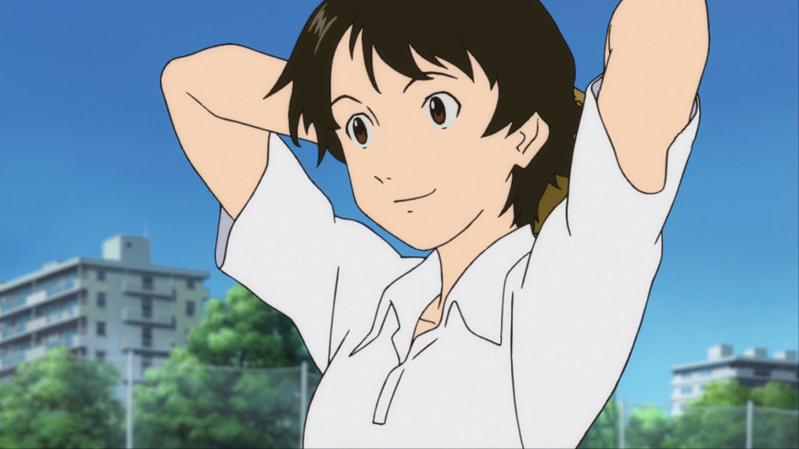 Toki wo Kakeru Shoujo is an anime film which rises above its minimal flaws. Aspects of its time traveling tale might be retreads, but this is a coming of age story well worth seeing, and one perfectly suited for Summertime consumption. It won’t be long now until warm weather is giving us its goodbyes, so enjoy it while you can, hm? The Black Ops 4 promotional beta has hit, and I’d like to do a Chill and Chat about it. Currently I have the footage, but I don’t have the time, but maybe over the coming weekend I can pencil some in. There is a lot to talk about. October is coming, ya know. What could that mean?